Many fires start in high rises building. It is difficult for fire departments to reach these fires with their hoses and equipment. The damage caused by hundreds of gallons of water to the adjoining units and the floors below can be extension and an unwelcome intrusion displacing tenants for extended periods of time. 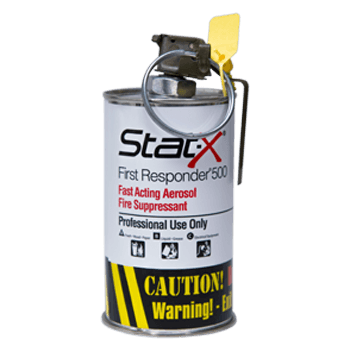 The portable Stat-X First Responder is a great tool for this application as one or more units can be deployed and tossed into the base of the fire containing the damage.